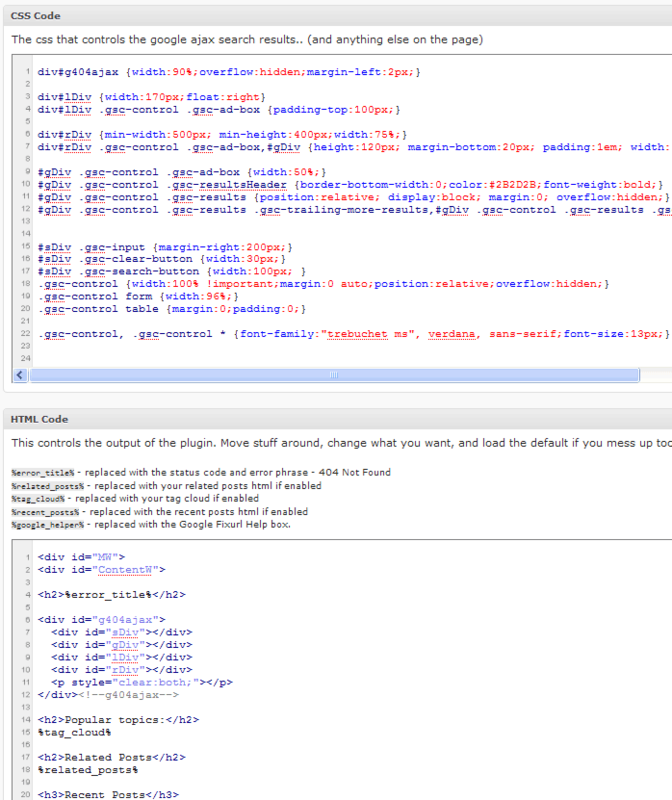 I've used just about every CMS/Blog/Forum/Trac/Gallery/etc) and really didn't like a lot of the way they coded... I could use php but I didn't KNOW php.. so I've had to learn php also, and it was tough to learn the advanced class usage and all the other language specific (but similar) constructs for php. It was especially difficult (but fun and challenging) to program so as to be compatible with php4 and php5 (Such is WordPress). But I kept at it, and soon you can decide for yourself what to make of it. The Password Protection (passpro) plugin has a lot of complex stuff going on, especially for a newbie to PHP and WordPress like me, so after refactoring the whole thing at least 5 times I decided to modify my approach, and wrote the AskApache Google 404 Plugin as a way to practice on a simpler piece of code, while at the same time providing a plugin of value. Eventually I stopped thinking I could just code the whole thing in one sit-down with a stream-of-consciousness, and had to instead modularize the code and focus in on each part before moving to the next (I go without a plan because its fun, just not the most productive, but again, I'm not a programmer in the scientific sense.). 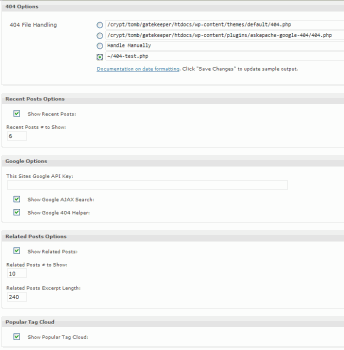 So I decided I had to really learn how WordPress Plugins work, filters, hooks, actions, and basically comfortability at reverse-engineering code, (Im a beginner for the last time), and so with the upcoming release of the AskApache Google 404 Plugin I have succeeded in making an incredibly stable plugin. That way I only have to worry about what the aapasspro plugin is doing, instead of trying to fit it into a framework. I think its rather unusual to develop a nice plugin like this 404 handler merely for the purpose of improving upon another plugin, but hey it worked. As of 08/03/2009 14:06PM EST I have about 1 hour left of finishing touches to release this upgrade. But as you cantell by my badly edited posts, I don't have a lot of time to myself. An hour here and there is about it. So it could be up to 2 weeks before I actually have the time to commit the release to the repo. On a sidenote, have you checked out Windows 7 News? I've been contracted to do some technical work for them and thought they had an excellent site. But keep in mind, the 404 PLugin is just where I practice for the passpro plugin, which truly does have features that no other software like it has ever had. 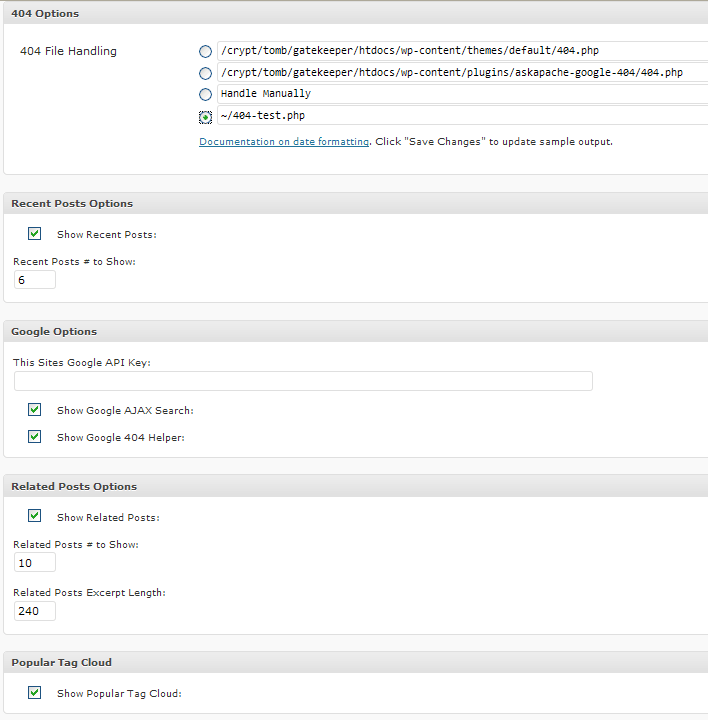 I understand the technology behind this plugin, and know it would really have a great impact on improving the Web (esp. 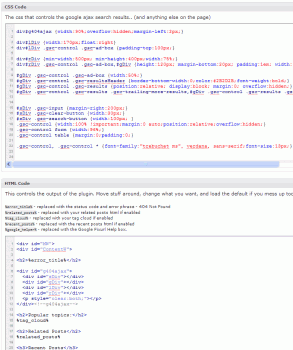 WordPress) for all of us, I've just had to learn how to make it. Probably still a couple weeks away, this plugin is the ultimate culmination of apache hackers dreams, at least those on shared servers (who may be interested in learning how to bypass security of said servers).. So this is something I have much too fun with doing what I like to do.. network/protocol-level security. I've examined the source code for many software packages that I use or have used to audit a server's security, and this simple php plugin in most instances can enumerate with accuraccy most of the server's setup in about a minute. The catch (and the file permission problems I had to find a workaround too) is that this software is launched on the server, not remotely against the server. Some of the software I examined was whiskers, nessus, nmap, hping, mozilla source, wireshark, ncftp, netcat, etc.. The closest comparison to the socket-level class I've hacked together to those is wireshark. Except that wireshark only interprets (captures) the data passing over the wire, while this class does that and in fact sends and receives the data like netcat or nmap. Its really more similar to metasploit, and can easily be used to send hex, binary, ascii, or any type of payload to the remote or local host. Many of the the other improvements focus on using the fsockopen class and .htaccess tricks to basically enumerate and discover all the different capabilities of your particular server; That way you can learn about all the features and security that are possible for your specific server, and the securty modules wi8ll be geared for that as well. FINALLY this plugin is going to be stable, and I just cant wait to see how people react when they learn all great capability their Apache-based Server has that they didn't have a clue about. Its amazing in that sense, and hackers will love theh way it works.. but your server admins will love it even more because its entirely 100% focused on helping you to set your site up (if you have Apache) to keep spammers out, to keep virii-serving robots and their log-hogging exploit requests and CPU/Mem robiing 404 errors off of your servers for real. This will have a noticeable affect to whoever is running the server. As you can tell.. I am pumped! Apache is easy to configure and use, but only when you have root access. Most people on shared and private hosting aren't even able to view the main config file, let alone execute the Apache binaries to see what features are available and what configuration is being used. Apache can only be influenced by the main server configs and by .htaccess files. Not by php, not by perl, and the main configs are almost never accessible to the masses. But .htaccess files are. And many hosting providers allow and enable .htaccess files, a configuration file for your web server. The advanced features and capabilities of Apache were out of reach for most of us, it just wasn't possible to enumerate or access, and most hosting providers are infamous for their lack of .htaccess (customer) support. This plugin goes around those problems to give the power back to the people. y creating custom .htaccess files containing unpublished .htaccess tricks and techniques and combining that with the use of socket-level networking from WordPress (PHP) using fsockopen, we can effectively enumerate and discover an incredible amount of features and settings you will be able to control and use with this plugin. Here are a few examples of the capabilities of this plugin, some of which I believe no other software can do.. (Open source free to copy!). List of ALL Directives enabled by EACH enabled Module. I would focus on the method that WordPress uses. The code they have now (2.8 bleeding-edge) still isn't where it needs to be, but this is some difficult stuff and they have a brilliant start, it'll work.. just a question of when. The main issue with the password protection plugin working for some people and not others is due to file permission configurations. The plugin attempts to write/modify files in your blog's root directory. To make a long story short, I downloaded each major release of the apache httpd source code starting at version 1.3.0 and finishing with version 2.2.11, I then compiled each version and built a HTTPD from source for all these apache versions. Then I went through each version and determined the compatible modules for that version, and I'm pretty confident that I was also able to find each and every directive allowed by the compatible modules for that version (including core directives). See .htaccess directive list. Basically I can now test a server using a variety of methods and determine almost 100% accurately what version of Apache (down to the API) is running, what modules (and versions) are enabled, and each and every directive that is allowed or disallowed for that version. So this is so awesome because now we can enable all sorts of additional security features. Here are most of the modules that come with Apache. Each one can have new commands that can be used in .htaccess file scopes. Check this out! I'm particularly happy about this feature, which outputs an exact trace of any requests made by the plugin (such as during the testing phase) by saving the actual raw data sent out on the wire using fsockopen, RX and TX. This is useful for a number of reasons, viewing your headers, finding Redirect Loops, testing RewriteRules, and following the request hop-by-hop for debugging. The below example shows 2 requests for 2 URIs. The first URI is protected using Digest Authentication, the 2nd shows Basic. WWW-Authenticate: Digest realm="do or die", nonce="03328f3ec7c7b", algorithm=MD5, domain="/", qop="auth"
You can view the plugins home page, old, or view it on the wordpress.org site.